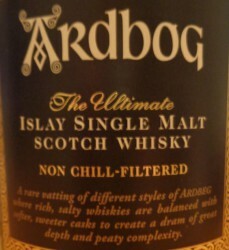 The last one for today is the Ardbeg Ardbog, which is a wordplay of the distillery’s name and the peat bog on Islay. Pretty clever if you ask me! It has no age statement, but from what I understand, its matured for at least ten years in classic ex-bourbon barrels and “rare” — whatever that means — ex-Manzanilla casks (an extremely dry sherry). Make sure to check out the two other Ardbegs I reviewed today: Blasda and Galileo. Maybe a bit salty, but not so peaty at first. Cherries, plums, brown sugar and walnuts. A bit lemony. Tobacco, vanilla and marzipan. Surprisingly punchy on the palate. Smoke and ash. Very salty, the Manzanilla comes really through now. Walnuts, cherries and lemons, followed by pepper, burned caramel, licorice and wood polish. A bit of tobacco. Gets pretty bitter and oaky towards the end. Long. Spicy and dry. Smoke, peat ash and lemon salts. Caramel. Pretty wood driven, the spirit has not much to say. 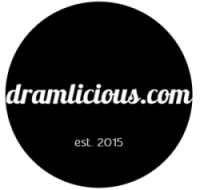 Maybe a bit too Ardbeg-unlike for the purists, but I like it!